AFRICANGLOBE – Richer than Frank Lucas. More powerful than the Mafia. He was the biggest drug dealer in America. In 1973 he jumped bail and disappeared with millions of dollars. He has never been seen again. Nearly four decades later, the fate of Frank Matthews remains a complete mystery. It’s as if Matthews dropped off the face of the earth, explained Mike Pizzi, a retired U.S. Marshal who was involved with the hunt for Matthews, the fugitive, for several years. The one hour and 23 minute documentary features rare archival footage, interviews with numerous sources who previously haven’t talked on camera about Frank Matthews and never before seen photos of Matthews. The documentary explores several intriguing questions: how was Matthews able to operate for several years without being detected? What was his relationship with La Cosa Nostra? Why did the CIA get involved in the Matthews investigation? Why has the mystery of his disappearance been so difficult to solve? Born in 1944 in Durham, North Carolina, Matthews left his hometown when he was a teenager, going first to Philadelphia and then to New York City. 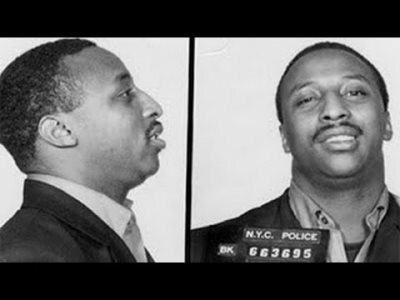 By the early 1970 s, Frank Matthews had become America’s biggest drug kingpin. His organization, headquartered in Brooklyn, stretched across more than 20 states, and he became the only Black gangster to establish direct ties to the French Connection heroin pipeline. To quote a federal prosecutor assigned to the Matthews case, Matthews was a pioneering giant of drug distribution.” Matthews organization eventually outgrew even the Italian Mafia, and when he built himself a mansion in Staten Island’s most exclusive neighborhood (and across the street from mobsters Paul Castellano and Three Finger Brown), he found himself on the verge of a feud with La Cosa Nostra. Matthews also battled militant Black Muslims for control in the streets of New Jersey and Philadelphia as he built his empire. The $15 to 20 million dollars he disappeared with is roughly equivalent to $100 million in today’s cash. What happened to Frank Matthews? That’s the most intriguing question in organized crime history, said Chepesiuk, who has spent five years researching the Frank Matthews story. Despite one of the largest manhunts in US history, there is no proof as to whether he is alive or dead.